This is the only Tap Wrench you’ll ever need. Forward, reverse and lock-out ratcheting action provides plenty of tapping control. Includes two interchangeable collet heads for any size tap. 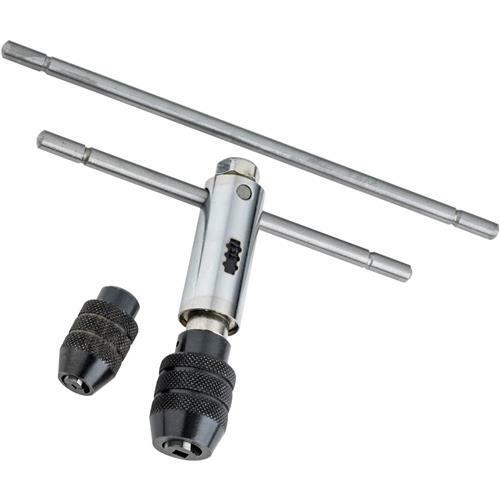 The 1/4" square drive allows easy conversion and two handles provide just the right leverage for any tapping job.